Very drinkable Prosecco, with a very pleasant taste and not too sweet. Very good for aperitif. Review by Anna , 21/01/2019. The best Prosecco to go with the lychee & lemongrass cocktail mix I make & pleasant on it's own as yet, no chemical aftertaste detected. Fantastic prosecco - clean, crisp! My partner used to only drink champagne. A friend bought this over and we both loved it. Great product for a good price. Review by Margate Dean, 29/05/2018. 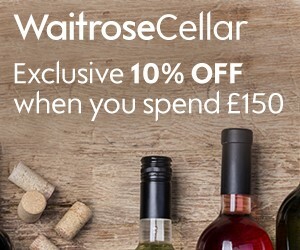 Very good for fining one's favourite wines at the best price. Love this Prosecco, it is always the one I pick first as light, refreshing and easy to drink. Review by Lucy Chester , 09/04/2017. This one never fails, loved by everyone. Review by Katy Berry, 08/04/2017. This is my favourite prosecco it is as good as champagne for me, lovely and dry, with a gorgeous fragrance, and the tiny bubbles stay in your glass for ages. I will certainly be buying more. Review by Jacqui Graham, 07/04/2017. This is my favourite prosecco and I always stock up on it when it's on offer. It is lovely and light and goes well with everything. I personally prefer it to other more expensive proseccos. Review by Becky W, 07/04/2017. Review by Zara , 07/04/2017. Review by B Brown, 07/04/2017. I love this Prossecco especially in the summer months. Perfect for any time day or night. Review by Anne Graham, 13/01/2017. Good value and excellent taste. Review by Peter S, 28/07/2016. My all time favourite prosecco. my top-rated Prosecco - fruity & not over bubbly. Review by Sally Parker, 04/05/2016. A very likable dry prosecco, reasonably priced and lovely to drink all year round. Review by Mark Williams, 28/02/2016. There was a thirsty girl who loved Prosecco, "And we do too!" her friends did echo. "The San Leo is best....... But the others are worth a test" Shaid the shquiffy girl who loved Proshecco!!! Review by Amanda Ross, 05/10/2015. My favorite Sparkly Tipple! Great product at a great price! My favourite Prosecco, light and dry and a great replacement for Champagne. Review by Debbie Holmes, 27/07/2015. Waiting for a good deal on San Leo Prosecco Brut NV? Enter your email address below and we will email you when it's on offer at 25% off or more! The Wines Direct Price Alert is a free service. In return, we just ask you to write a short review of San Leo Prosecco Brut NV to help other customers learn about it.